One Year Award and Giveaway! One week from today is the anniversary of my first WordPress blog post! 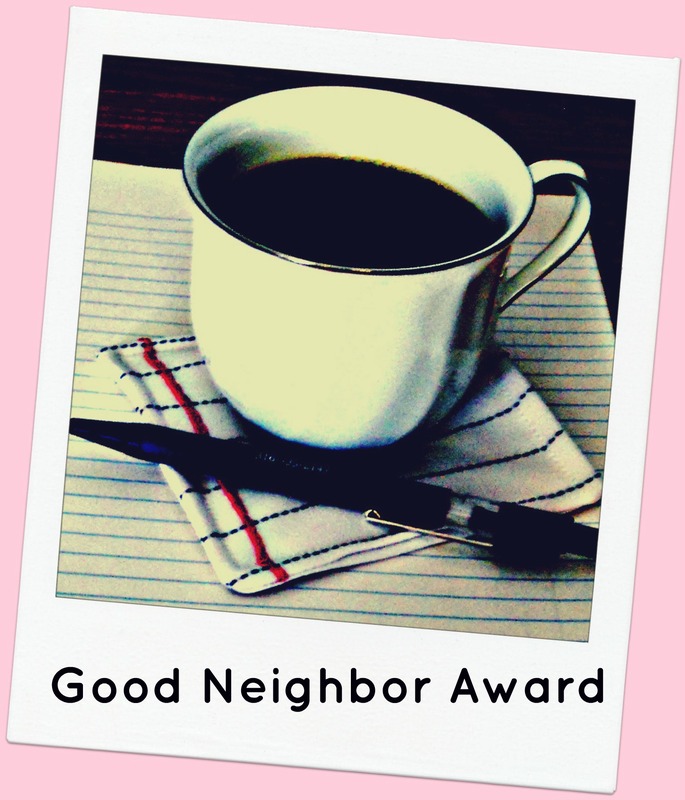 Since I’ve discovered how many people around the world I’d love to have for next-door neighbors, I’d like to celebrate with a new award and giveaway! AWARD: Please nominate a WordPress blogger (or lots of them!) for the “Good Neighbor Award” in an email to me at k[underscore]scraper@hotmail[dot]com (to keep it a surprise! ), including a link to the blog and why you’d like this blogger to live next door. To cook/sew/craft/shop/write together? To learn to do something new? To be inspired? To visit over a cup of tea? Nominees will receive the award button on September 22. My grandmother taught me to sew and embroider when I was young. I’ll always remember the many happy hours we spent together and all the wisdom she imparted not only about our projects, but about life. When she passed away, I inherited all of her fabrics, threads, flosses, and now-vintage buttons. My mother inspired me, too. She made a beautiful quilt for me when I (finally!) graduated from college, but her favorite medium was painting. Then it was my sister and best friend Susan, a musician, quilter, photographer, baker, and storyteller. Today I’m blessed to have seven daughters-in-law who never cease to amaze me with their creativity . . . scrapbooking, cardmaking, photography, painting, pottery, cake decorating, interior decorating, quilting, cooking, writing, designing birthday parties for our adorable grandchildren, and much, much, more. And I mustn’t forget my dad, who gave me my first sewing machine (the one I still use! ), drove us to 4-H meetings and the county fair to make and display our projects, made it possible for me to pursue my love of piano, and reads my books. Dad, by the way, lives an innovative life himself . . . but that’s another story for another day. One of the reasons I enjoy making pillows is that I can simply browse through my stash, put this and that together, and come up with a one-of-a-kind creation. 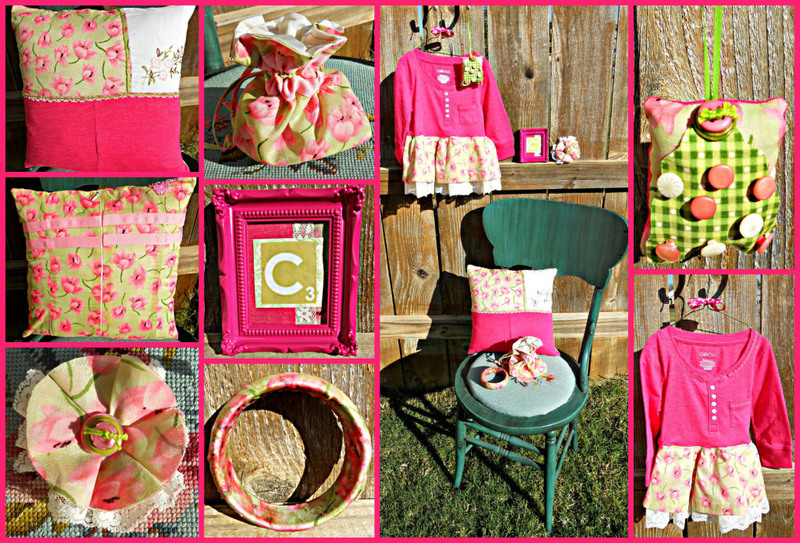 I also love to upcycle things like vintage clothing and table linens into pillows. And, of course, I’m always excited when I find intriguing remnants and decorative items in the clearance aisles of my favorite stores! 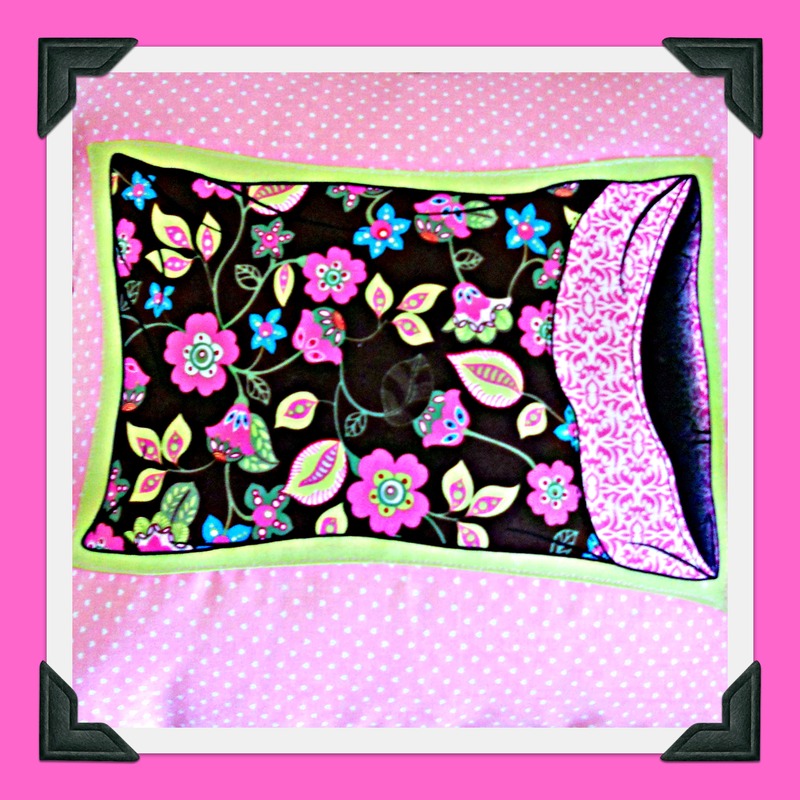 I call this one “Pillow Pillow.” I found the stamped mini pillowcase in a bargain bin at Michaels, cut it out close to the edges, and appliqued it onto a piece of pink polka-dotted fabric from my collection. The finished cushion is 14×14. Besides sharing my pillows, I hope to post some recipes (“Chicken Pillows” coming soon! ), kids’ crafts, sewing and decorating ideas, and general chatter. Thank you for visiting, and please come back again!